I was on a hiatus for the longest time & I truly felt bad for not writing often in this humble blog of mine. Work has pretty much taken a 80% of my time & energy each day. Whatever left is for the house chores & spending little time with my hubby. I've been deprived of hobbies & includes blogging. I think I'm starting to forget how to bake as well, considering the seriously lacked of time I had for practice. What a pity when I actually spent a good sum of money to improve my baking skills. So why 24 hours doesn't seem enough for me? I chose to climb the corporate ladder these past 2 years, sort of. As much as I hate to admit, I was hungry for a promotion & a pay raise. In my mind, the pay raise means more money/savings for my future business. I got my promotion but the raise was average. It was probably fair because I was fairly junior as a senior managerial post. What's next? I'm not sure if I want to continue to be part of corporate anymore considering the long working hours & mismatched in business mindset between myself & the company at large. Perhaps a new beginning is waiting for me next year. 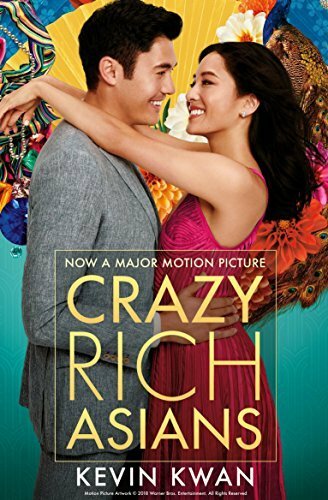 With the hype circling around the most anticipated summer movie Crazy Rich Asians, I have refrained myself from reading the book nor owning one for fear of disappointment that the movie can't deliver up to the book's expectation. I went into the theatre hall without any expectation; purely in for the entertainment. Ten years ago, I won tickets to watch Mamma Mia movie & I brought Mum along as my movie date. I even did a short blog about it here. A decade later, the movie studio has decided to do a sequel after the success of the first movie. 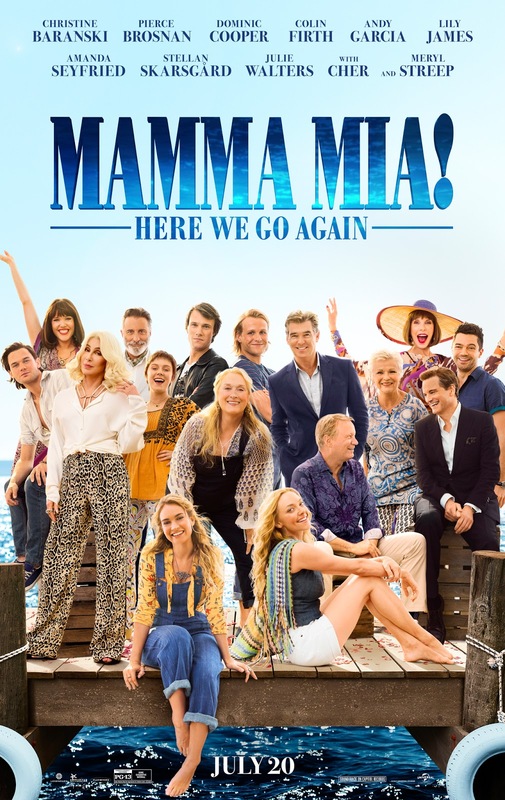 Titled Mamma Mia: Here We Go Again, the story focuses more on Sophie's story about wanting to fulfil her mother, Donna Sheridan's dream. It's the Avengers we all have been waiting for; a culmination of 10 years of Marvel movies leading up to the final battle with the ultimate villain, Thanos. The launch date was timely on the last week of April followed by a long holiday weekend to Labour's Day. I was excited, so is my hubby & we straight away hit the purchase button on the cinema website for the slot on April 30 coinciding with our annual leave too. What's the final verdict? Let's find out. Sighs...where do I begin? 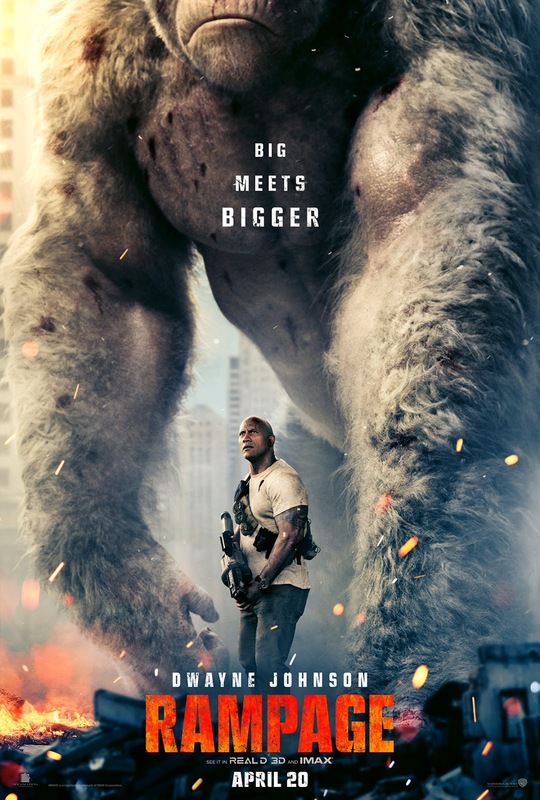 We all know Dwayne "The Rock" Johnson has been pretty busy lately, with movies released back to back - from Jumanji last year to the latest Rampage this month, and Skyscraper slated for release some time in June. Hugh Jackman in a musical is not new news; his earlier gigs were mostly theatrical/musical based productions before his breakthrough role as Wolverine in Hollywood. 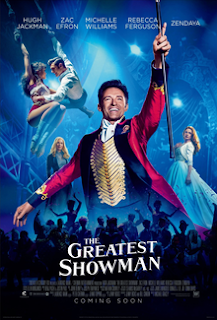 Somehow, seeing him headlining The Greatest Showman evokes a strange feeling within me. I'm still not ready for this man putting his iconic comic hero behind him & moving on (or should I say, moving back) to what he does best - singing & dancing. Thor: Ragnarok marks the end of the Thor trilogy, as Marvel Cinematic Universe inches closer to the long-awaited Avengers: Infinity War. 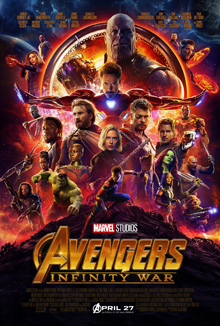 This movie comes after Guardians of the Galaxy 2 which was released earlier this year, as part of Marvel Studios' movie lineup in 2017. 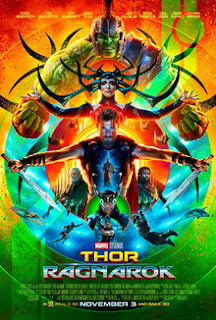 Not surprisingly, Ragnarok adopted Guardians of the Galaxy's theme famous for its retro soundtracks & psychedelic colour palettes - a tribute to the 70s & 80s. I thought it was an interesting & good move, keeping the mood consistent for a good crossover. So, how did Ragnarok fare?